1983: In the journal Science, two separate research groups led by Robert Gallo and Luc Montagnier independently publish their findings that a novel retrovirus, later named HIV, may be infecting AIDS patients. The U.S. Department of Health and Human Services on Monday detailed its new initiative to reduce new human immunodeficiency virus infections in the United States by at least 90% over 10 years. President Donald Trump called for the elimination of HIV transmissions in the United States by 2030 during the State of the Union address in February. On Monday, Surgeon General Dr. Jerome M. Adams highlighted four key elements of the HIV program -- diagnose, treat, protect and respond in more detail than previously outlined. The program will focus on the 48 counties with the highest HIV rates, as well as seven states with high HIV rates in rural areas, as well as Washington, DC, and San Juan, Puerto Rico. The states are Alabama, Arkansas, Kentucky, Mississippi, Missouri, Oklahoma and South Carolina. "HIV has cost America too much for too long," Adams said at a news conference on Monday. He described two successful medical tools that will be key to the program: antiretroviral therapy (ART), which can prevent transmission of HIV, and pre-exposure prophylaxis (PrEP), which can prevent transmission of HIV to those at risk of acquiring the infection. "With these medical tools, if we can identify everyone infected and at risk, we could theoretically end the epidemic today," said Adams. Yet both treatments are already in use throughout the United States. How, then, is HIV being spread? Most new infections are transmitted by just 40% of people infected with HIV -- those who either have not been diagnosed or have been diagnosed but are not yet receiving care, according to the new Vital Signs report, conducted by the US Center for Disease Control and Prevention and released Monday. Yet the majority of people taking antiretroviral therapy can achieve viral suppression within six months of starting the therapy. And, if HIV-positive people maintain suppression by continuing ART, they can live long, healthy lives while effectively posing no risk of infecting sexual partners, according to the authors of the report. "Today's treatment regimens are simpler than those prescribed in the past, sometimes requiring only single-tablet formulations, with fewer side effects," wrote the authors. "Despite the availability of effective treatment, many of the 1.1 million persons with HIV infection in the United States are not effectively treated." Secretary of Health and Human Services Alex Azar explained at Tuesday's 2019 National HIV Prevention Conference in Atlanta that one in two Americans has had the virus for at least three years before being diagnosed, while one in four has had the virus for at least 7 years before being diagnosed. In 2016, an estimated 38,700 people acquired a new HIV infection. The CDC scientists constructed a model to estimate the relationship between transmission and treatment rates during 2016. Modeling data that included sexual and needle-sharing behavior the researchers analyzed the proportion of new transmissions by specific groups. People who have just been infected and are unaware of their status led to 4% of new infections, they found. Those longer-term infected and unaware of their status accounted for 33.6% of new infections. People aware of their status but not receiving care accounted for 42.6%. Those receiving care but not fully suppressed accounted for 19.8% of new infections. People living with HIV who maintain viral suppression with ART contributed no new infections. Overall, about 15% of people with HIV have an undiagnosed infection, while nearly a quarter (roughly 23%) are diagnosed yet not receiving care, according to the researchers. Slightly more than 1 in 10 people living with HIV (11%) are receiving care but are not completely suppressed. 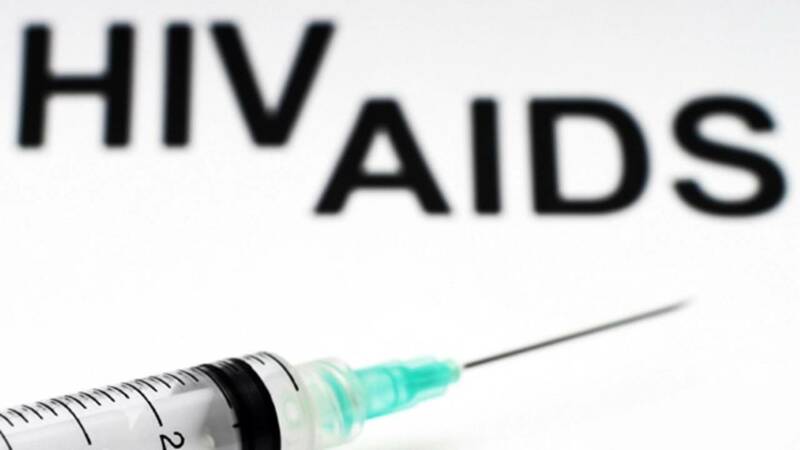 "Going forward, increasing the percentage of persons with HIV infection who have achieved viral suppression and do not transmit HIV will be critical for ending the HIV epidemic in the United States," wrote the authors. Ahnalee Brincks, an assistant professor of epidemiology and biostatistics at Michigan State University, said the new report "highlights a critical, but not widely known, element of HIV prevention, which is that viral load suppression among individuals who have HIV can prevent transmission." Brincks, who was not involved in the new research, added that "significant barriers" to receiving and continuing care exist. These can "severely inhibit" the ability of health care providers "to reach a goal of 100% viral suppression," she said. "Stigma, discrimination and lack of trust in the medical system" are all barriers to engagement in care and viral load suppression, she has found in her own research (conducted with colleagues): "In particular, our work suggests that higher levels of mistrust toward the primary HIV care provider is associated with longer, and less optimal, time elapses between medical appointments, which is further associated with higher viral load." Azar said on Tuesday that the president had been "overwhelmed" by the response to his announcement of the new HIV initiative last month. "Execution of this strategy will be a top priority for my entire tenure," said Azar. In particular, he will focus on bringing down the high price of HIV treatments and tearing down the stigma that surrounds the infection, he said. He also noted that the US Food and Drug Administration issued on Tuesday two new guidance documents on developing treatments: one for pediatric HIV infections and the other for pre-exposure prophylaxis. At Monday's news conference, CDC Director Dr. Robert Redfield said that "HIV touches every corner of our country, mainly cities, but rural areas as well." He noted that by increasing access to testing and treatment, we can prevent the "lion's share" of new infections. "A goal that once seemed impossible is now within our reach," he said.